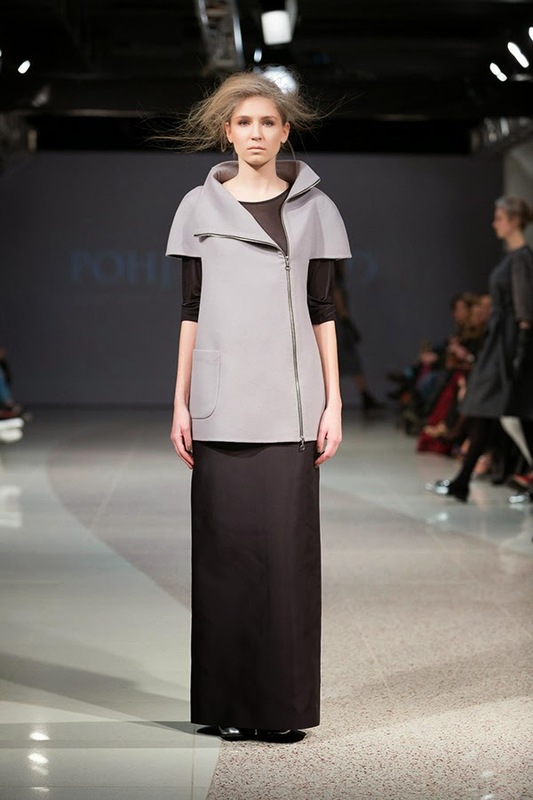 Shades of grey and Winter colors in the story of Estonian Pohjanhimo. 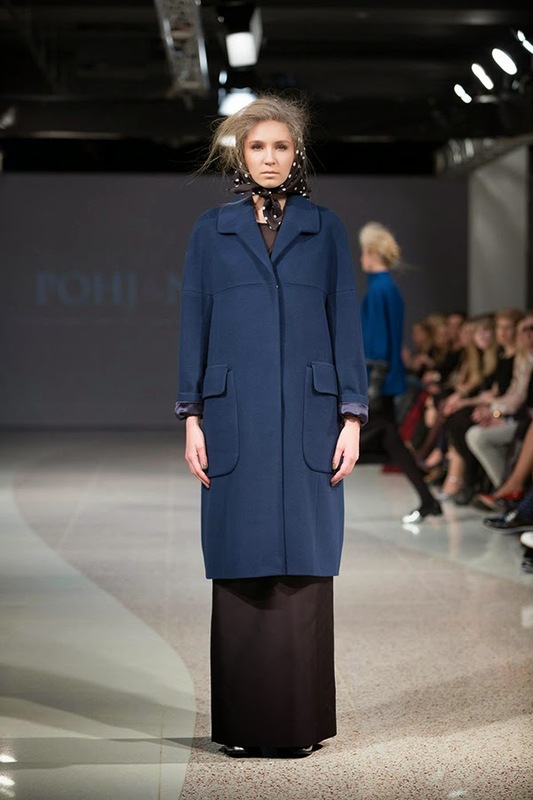 To say that Pohjanheimo was one of the guest-designer brands in terms of Riga Fashion Week Autumn/Winter session is to say nothing. 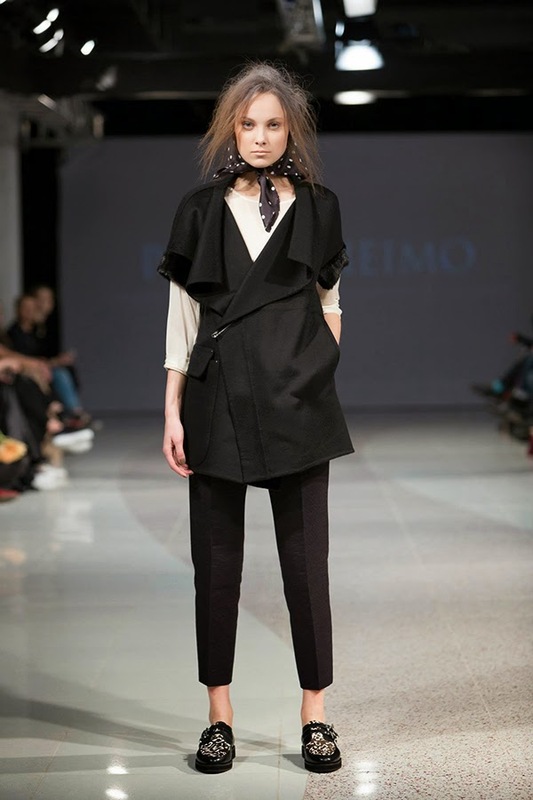 This Estonian label has been on Riga Fashion Week agenda for some good six seasons in a row now. 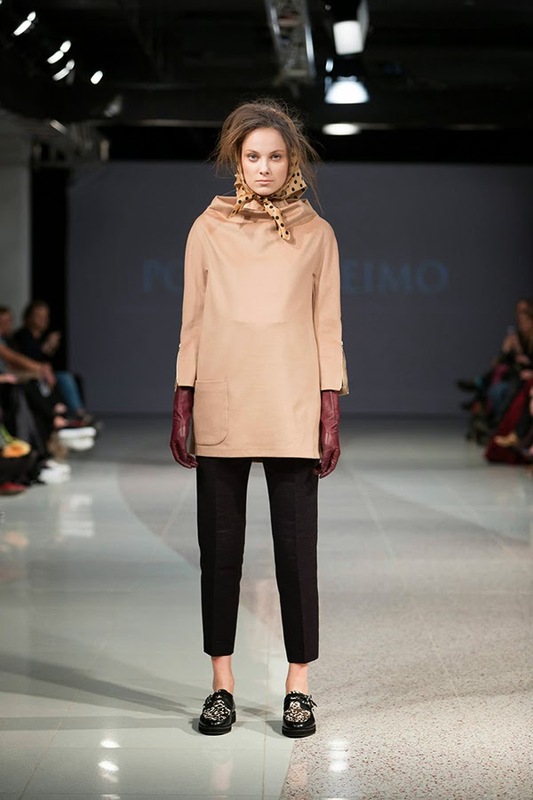 In fact this runway show of Pohjanheimo was the very first time I saw the creations of the designer Ulle Suurhans Pohjanheimo. 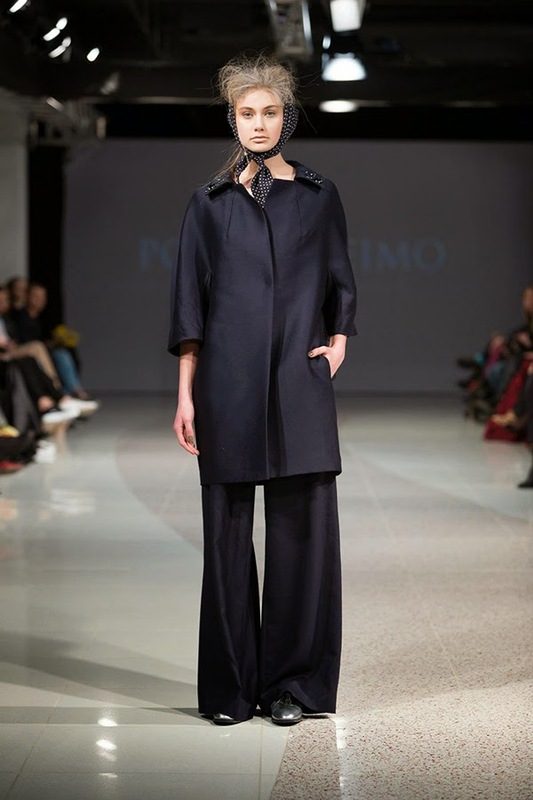 Looks like after all those seasons both Ulle and Pohjanheimo feel in Riga like home, so to state that they are guests is not really correct, the Estonian brand managed to become an essential part of Riga Fashion Week. 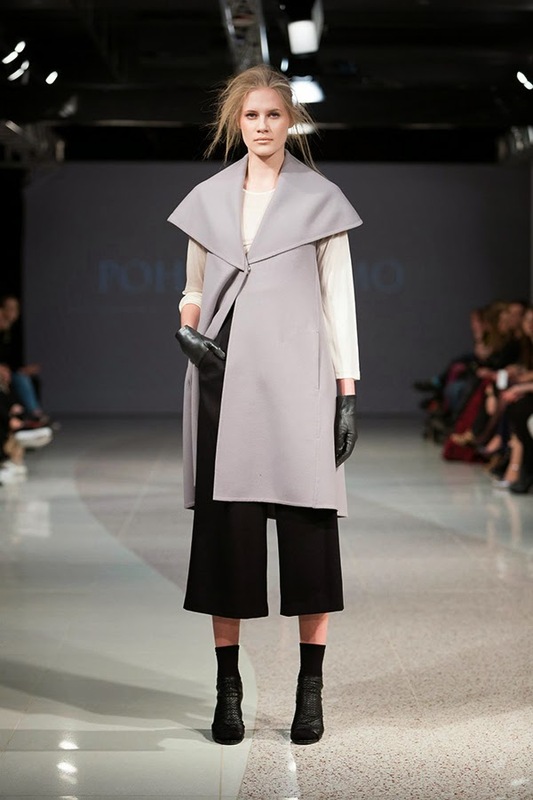 'Fifty shades of Baltic Winter' such a name would suit this Pohjanheimo AW15 collection perfectly. If we take the Baltic states as one whole, I would describe our Winter color preference as pretty restrained. We are more comfortable with black, grey and dark tones. I guess that is the reason why Ulle didn't include screaming colors, the designer in turn went for deeper shades of blue and wine (aka marsala). Though the biggest stake of the collection is taken by black and greys. 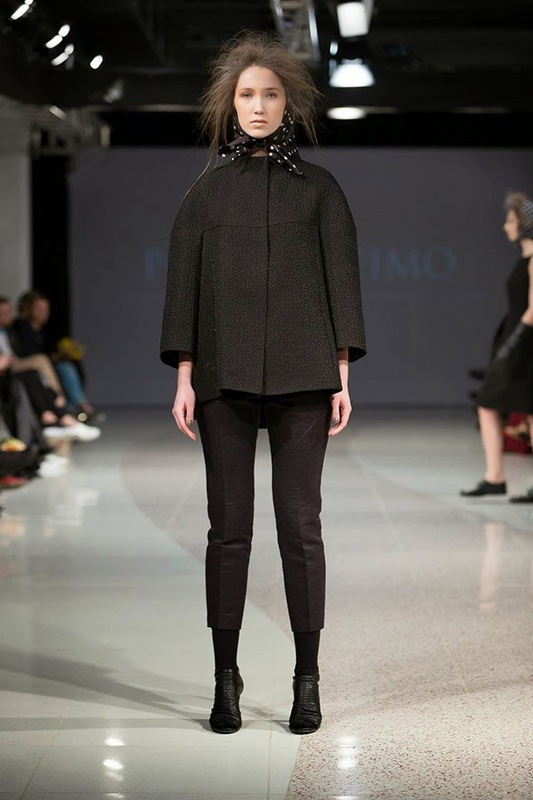 In terms of fabrics used it is a so-called 'Baltic standard' - wool, cashmere and leather. You can see fur details involved in coats, which we all totally adore, don't we? 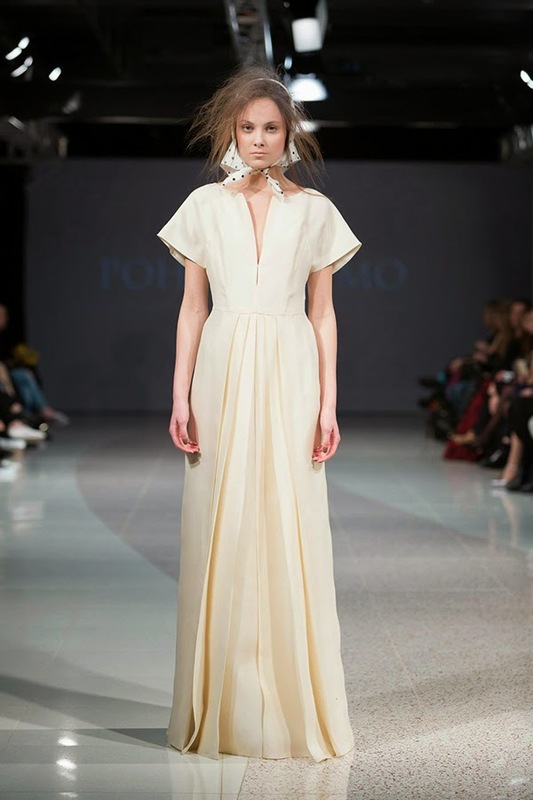 If we speak of the collection in general terms, it's undoubtedly very elegant and feminine. Even the cropped trouser combinations can't be described as masculine, it's all about elegance and feminine cuts. And a bit of retro vibes. Why I went across the retro vibes associations. 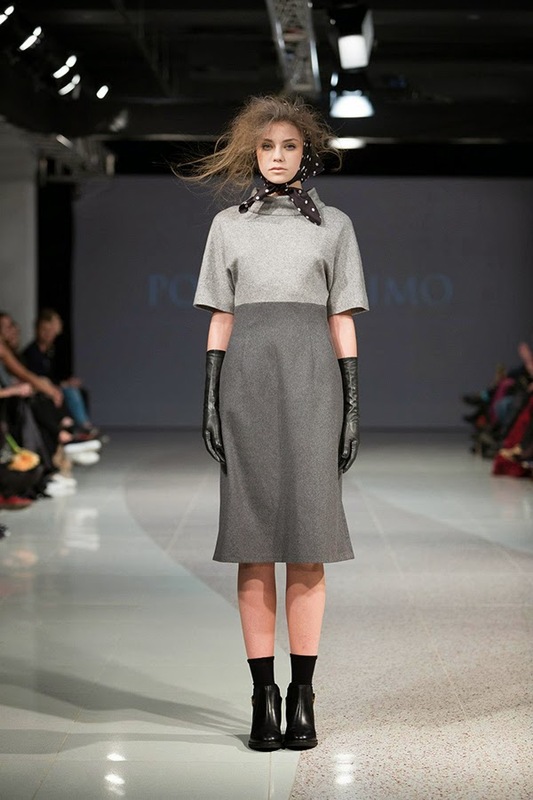 It's because of the general styling of Pohjanheimo collection - polka dotted scarves, 'wind in the hair' hairstyle and leather gloves.